Even though she finished six, the 18 year old showed the world her prowess. Her sporting journey started in the muddy fields of Dhing village in Assam. It was here that the tomboyish girl-Hima Das learned to take on opponents much stronger than her. She used to pester her cousin to let her play with the boys. With the guidance of her physical education teacher, Hima found her true calling in running. Nothing could stop her from here on. 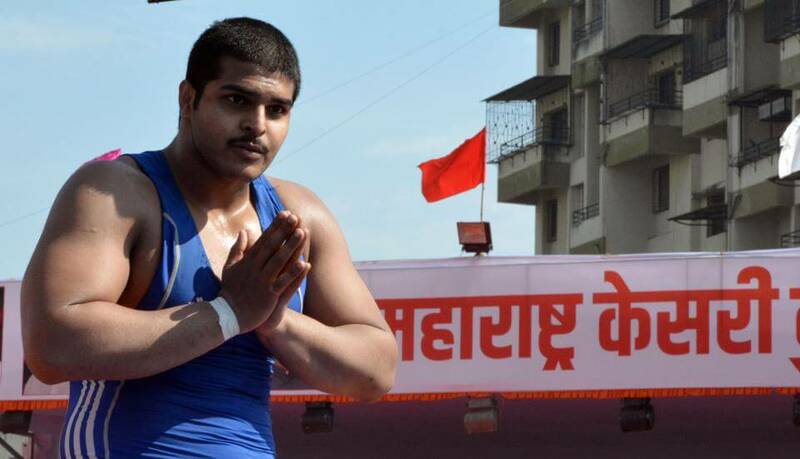 Hima then became India’s latest sporting sensation by winning a gold medal at the World U20 Championships in Tampere, Finland. 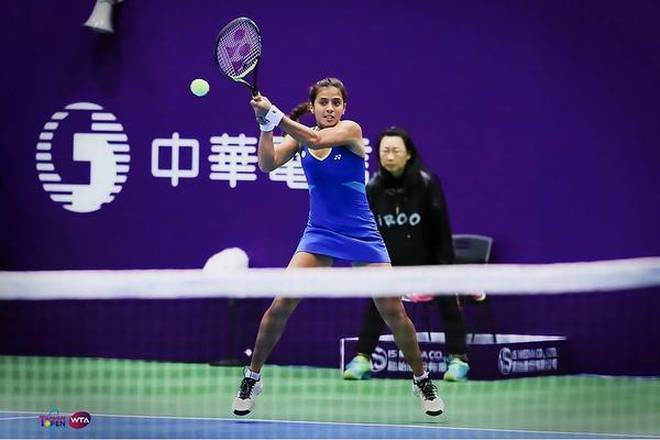 She followed it up with a three-medal streak at the Asian Games. Her two silver medals came in 400 meters individual and mixed relay team events. She became the golden girl of India by winning the gold medal in the Women’s 4×400 m relay. The girls carried the golden legacy started in 2002 Asiads. Hima is not a conventional athlete. Time and again she has proven how hatke she is and we are very excited to see her career taking shape. At this time, her next aim is Tokyo Olympics 2020. From running barefoot to having her name on Adidas shoes, Hima Das sure has come a really long way. From practicing in muddy football fields to winning three medals at the 2018 Asian Games, her journey is remarkable. What makes her stand out is her intense passion and raw talent. Some stars are born with a sparkle in their veins. Similarly, this sprinter is here to attain great heights. 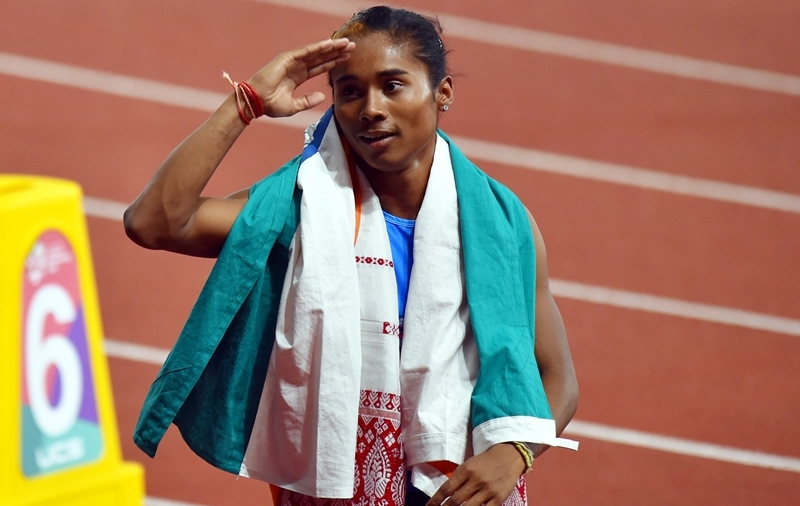 Shortly, Hima Das has become the nation’s latest sensation. The best part? She deserves all the adulation coming her way. Today, we glimpse into the life of our young champion. Hima belongs to a humble family from Nagaon Assam. 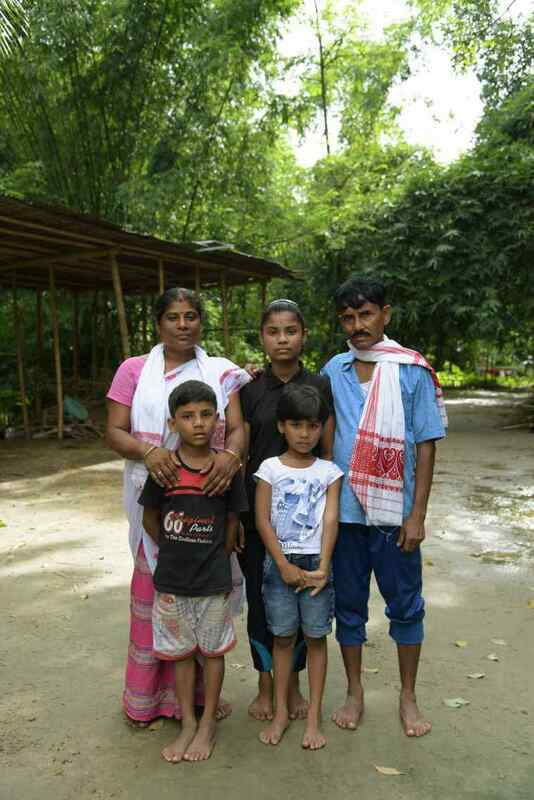 Her parents, Jonali Das and Ronjit Das are rice farmers. She is the youngest of their five kids. Moreover, things were never abundant as such at home and Hima did not have the luxury to choose a career in sports. However, she believed in her raw talent and trained on muddy football fields. “I played for local clubs as a striker and I thought maybe one day I would play for India,” she said while speaking to ESPN. Destiny had different plans for the young champion and a career in football was never the plan. Finally, she was spotted by Nipon Das, an athletics coach with the Directorate of Sports and Youth Welfare. On his insistence, she shifted to Guwahati and started training hard. As a matter of fact, the better infrastructural facilities helped her tremendously. “She was wearing cheap spikes but she won gold in the 100 and 200. She ran like the wind. I hadn’t seen such a talent in ages. There was no separate wing for athletics but the officials were open to Hima being part of the academy after seeing her performances. Assam is not known to produce runners,” he told DNA India. Before any tournament, Hima calls her coaches to seek their blessings. As shown above, Hima with coach Nipon Das and coachNabajit Malakar. On his insistence, Hima shifted to Guwahati and started training hard. The better infrastructural facilities at Sarusajai Sports Complex helped her tremendously. It wasn’t easy for her parents though. Her mother, who hasn’t even traveled out of the village, was especially hesitant to send her youngest ward away. Hima convinced her mother, in her own bindass style, that she isn’t afraid of another and will come back running to her if something happened. However, those days were not easy for Hima. There was always a monetary crunch and she had to live in a rented room. Moreover, there used to be leakages during monsoon. Nothing could stop Hima from reaching the race track on time. Her coaches were very impressed with this quality of hers. Her friends and family lovingly call Hima as Dhing Express. Initially, Hima was interested in football. She has played for many local clubs as a striker. However, she opted for sprint running in 2016 at the advice of her schoolteacher. What a decision that turned out to be! Initially, she trained on muddy football fields. 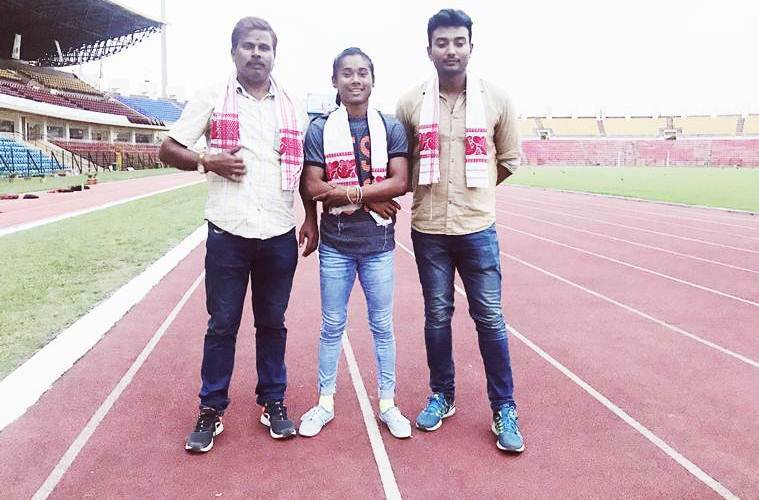 Hima Das is the brand ambassador of Assam. She wants to inspire especially upcoming athletes from the state to take up sports as a career. Hima is a big fan of Assamese singer, actor, and director, Zubeen Garg. She went to meet the singer in 2017. “She came to me as a fan, left as a friend. 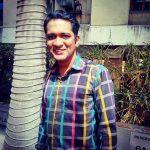 I realized that she was a khatra bostu(a dangerous thing) the day I met her,” he told The Indian Express. Hima uses the phrase ‘Mon jai’ which means ‘I feel like’ all the time. The phrase helps her stay connected to her Assamese roots. It is the name of her favorite song by Zubeen. The two words are not just words to her. They give her strength during weak moments. She has used the same phrase to name her Whatsapp group as well. Hima connects a lot with this group of guys and they talk about anything under the sun. Whenever she is in Dhing, she makes time for her friends. A Jubilant Hima Das after winning the Gold at the Fed Cup Athletics meet. Hima’s first competitive race was the Inter-district meet in Sivasagar, Assam. In just 18 months she won her first track gold medal in the 400-meter final at the World U20 Championships in Tampere, Finland. With this feat, she significantly became the first Indian woman to achieve this honor! She trumped out Romania’s Andrea Milkos and America’s Taylor Manson in the event. At the Commonwealth Games 2018 held in Gold Coast, she clocked 51.32 seconds in the 400m final. Though she had to settle for the sixth position, it was a start of new milestones for Hima. Later, her sensational performance in the Jakarta Palembang Asian Games sealed her position as an exceptional sprinter. She got a penalty for a false start in the 200 meters semifinal event. It was very disappointing as she was sure of a podium finish. She later explained in an interview with the Hindustan Times that she was under a lot of pressure. “There was a lot of pressure on me. I request all not to put players under such pressure. Some comments hurt us. So please refrain from making such statements. It’s because of two-three persons from Assam. However hard I try to forget, those things (comments) come to mind and make me think did I commit any wrong,” she said. On the positive side, she made up for that by winning three medals in other events. She won a silver in the women’s 400 meters category. Another silver came in the mixed relay event. The team of Muhammed Anas, Hima Das, Poovamma Raju, and Arokia Rajiv clocked 3 minutes and 15.71 seconds to achieve this feat. But, Hima got her most special medal in the women’s 4x400m relay. The girls made the entire country proud by winning the fifth consecutive gold medal in the relay. Indian women’s team is ruling the event since 2002 Busan Asiads. Hima was totally thrilled to be part of this team along with Saritaben Gayakwad, Vismaya Koroth, and Poovamma Machettira. Hima started the race and gave her fellow teammates a considerable lead over their opponents. They markedly finished the race in 3.28.72 seconds to clinch the gold. Her bindass spirit, fiery as well as chilled outlook at the same time, and immense passion for running make her stand out from the rest. After all, she was never the one to head down the conventional path. She knows she is made for greater things in life. Surely, not the one to chase medals or titles, she has focused on consistently improving her performance. This need to run is going to take Hima to exciting places and win her numerous accolades. 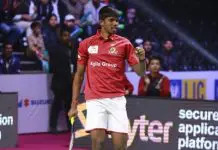 Best of Luck Hima – Go for Glory! !